BUNDABERG student's have pulled out all the stops to celebrate 12 years of schooling, one taking to the ocean in his formal suit. Bundaberg Christian College's Francis Boylan and his mother took a spontaneous trip down to Elliott and the result was spectacular. 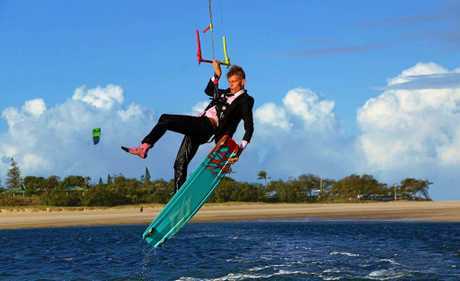 Decked out from head to toe in his formal attire, Francis carved up the beach kite boarding. He said he's been kite boarding for about four-five years under the guidance of Andrew Ward and has no intention of hanging up his kite. Francis said Mr Ward had taught him pretty much every thing he knew. For the young gun, kite boarding is a way to relax while juggling six OP subject and a job. "It's almost like meditation,” he said. 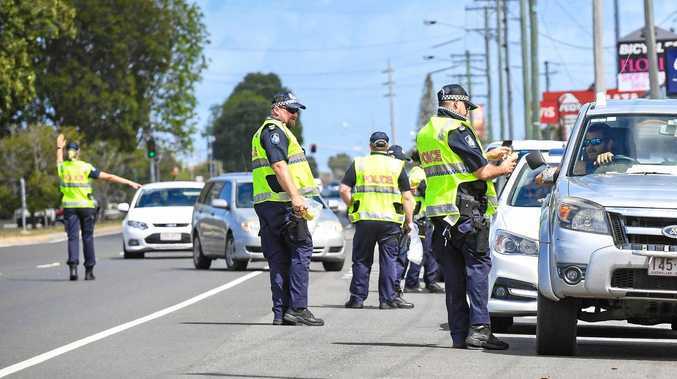 With hopes of staying in Bundaberg after he graduates and studying locally, Francis said he was eagerly awaiting the Wind Slasher Beach Festival 2019 Elliott Heads. While making for a unique photoshoot, Francis said he had a great evening at his Year 12 Formal. And he wasn't the only one to take advantage of the special day. On Wednesday night a St Luke's Anglican School duo took their entrance to a cinematic level. 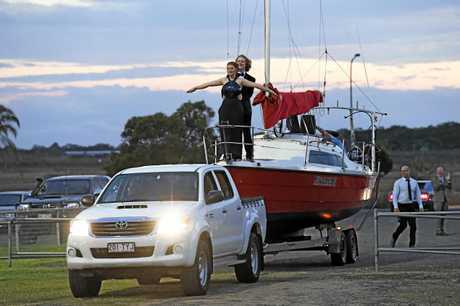 Kira-Lea Cathcart and Jacob Treloar reenacted the renowned Titanic scene upon entering Brothers Sports Club - the local Jack and Rose wowed the crowed before taking to the red carpet. This year the local Yr 12 students have taken to their formal with a tonne of fashion and fun, with Bundaberg North Sate High School's held last night and Kepnock State High School and Rosedale State School wrap up the celebration tonight. To see photos from all of the region's formal celebrations pick up the NewsMail 28-page liftout next week.